My mom is fine now. Ten years earlier, she was not. She suffered through multiple strokes. And while she somehow survived them, her doctors assigned as many as four simultaneous prescriptions for her. Despite the drugs, her health continued to struggle. Aside from the usual health indicators struggling to stay within the normal range, she also became physically bloated and exhibited several new, bizarre symptoms. By accident, my stepdad stumbled upon a Minor Insight: when she didn’t take the drugs, she got better. Her odd symptoms went away and her health returned to a normal range and has remained stable. But how can that be? Aren’t the drugs supposed to make her better? Ah. That’s what we’ve all been conditioned to believe. And just like the myth of orange juice, the belief that drugs are always the magic bullet to our health problems is also a myth that we’ve been conditioned to believe. The problem isn’t just drugs. The problem is the entire health care system, which includes drug companies, doctors and the government, is designed to make you sicker, not healthier. And ironically, the problem has little to do with insurance companies! Think back to 2008. One of the biggest stumps in Barack Obama’s presidential campaign then was reforming the health care system. Americans may have insurance now, but they’re not healthier. Rates for Type 2 diabetes and other diseases continue to surge. That’s because, as I stated before, the problem has little to do with health insurance. The current U.S. health care system is destined to fail you…unless you understand four critical concepts. 1. Your health is primarily determined by what you eat. And what you eat has nothing to do with what kind of health insurance you have. Poor diet is the biggest cause of our nation’s health problems. Cardiovascular disease, cancer, and diabetes are raging through Americans at increasing rates, coinciding with the nation’s growing obesity rates. 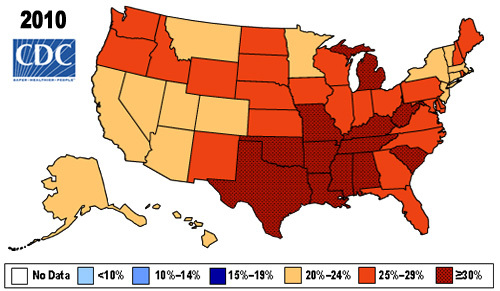 On the left is a map of obesity rates in 1985 and a map in 2010. These two images don’t do the rise in obesity justice. Check out the animated map on the CDC site that dramatically shows this stunning rise of obesity. In 1985, states were primarily white and light blue rates of obesity; in 2010, there is not a single state has even a dark blue rate of obesity! By 1997, an entire new color shade had to be created (the beige). And by 2005, the latest new color shade (deep red) was created. Many health problems stem from our poor diet. Improve your diet and you will improve your health, making the need for “universal health care” unnecessary regardless of your political affiliation. So what’s wrong with our diet? The problem is not in the amount of calories we eat or even the calories we burn, as Gary Taubes explains in his groundbreaking book Why We Get Fat. Rather, it lies in our unwitting obsession with carbs, particularly refined carbs. Bread, (white) rice, potatoes, and sugar are the biggest culprits. These “Fatal Four” are practically everywhere in our supermarkets, and consequently, our kitchens. Think bagels, baked potatoes, sandwiches, french fries, PB&J, cupcakes, doughnuts, soft drinks, and much more. Further, contrary to what we’ve been led to believe for decades, dietary fat and cholesterol has little impact on our blood cholesterol. Rather, animal meat & fat is actually beneficial to our health profile. I know it sounds impossible, considering what we’ve been taught for so long (and are still being taught) about the evils of saturated fat and cholesterol in food, but Taubes clarifies this in great detail in his book. It’s beyond the scope of this post, so I encourage you to read the book if you are skeptical. I had my blood tests taken recently having followed a low-carb, high-protein, high-fat diet for over six months, and my health profile in all categories has improved. So has Taubes’ health profile, which he posted publicly. 2. Drug companies are in the business of making money, not improving health. If drug companies cured all our diseases, they would go out of business. Drug companies actually want the opposite: they want more patients using their drugs, not less. According to the book What the Drug Companies Won’t Tell You And Your Doctor Doesn’t Know by Michael Murray, as more people suffer from high cholesterol, drug companies convince the government to lower the level of what is considered “high cholesterol”. In turn, this creates millions of new customers overnight. The number of people identified with “high cholesterol” has increased from 13 million to nearly 100 million today. How are drug companies influencing the cholesterol guidelines? Eight of the nine experts who wrote the latest cholesterol guidelines for the U.S. National Institutes of Health also serve as speakers, consultants or researchers for the world’s largest drug companies. This is not the only area where drug companies have inappropriate but significant influence within the government. More than half of the experts hired to advise the FDA on the safety and effectiveness of drugs have financial relationships with drug companies that will be helped or hurt by their decisions. You would think that it should be illegal for the FDA to use experts with such financial conflicts of interest…and it is. But apparently, that can be waived because the FDA waived this rule 800 times in a 15-month period from January 1998 to June 2000. What’s more, in an analysis of all advisory panel meetings from 2001 to 2004, at least one member had a financial link to the drug’s maker or a competitor in 73% of the meetings. There’s more. Drug companies fund research as a marketing tool. Randomized, controlled clinical trials are supposed to prove a drug’s effectiveness and safety. But what doctors (and us patients) don’t realize is that many studies are not done by impartial research organizations. Rather, the drug companies were the ones who hired for-profit research organizations, whose research must benefit the drug manufacturers because they’re paying for it. Want numbers? Research sponsored by drug companies was about 33% of all clinical research in 1980 but reached about 90% of all clinical research by 2007. Lastly, drug companies control medical education. Most physicians have very little formal education in pharmacology, the study of drug actions and interactions. So most of their pharmacology understanding comes from drug company sales reps. Drug companies also sponsor educational programs for physicians. And yes, doctors are also often bribed by drug companies. And according to former editors of three major medical journals (the Lancet, the New England Journal of Medicine, and the British Medical Journal), some journals are just an extension of the marketing departments of major drug companies. Not surprising since drug companies also sponsor medical journals. Even worse, 95% of medical studies in the most prestigious journals contain false or misleading statistics, and 91% of studies are ghostwritten. Yes, drug companies are in the business of selling drugs…as much as legally (or sometimes even illegally) possible. So when doctors prescribe you a drug, ask your doctor some questions. 3. Drugs suppress symptoms of disease; they don’t cure disease. As a Christian parent, I know that there’s a difference between getting to the heart of a child’s bad behavior versus merely stopping the bad behavior. You can tell a misbehaving child to “stop doing that” and the child may indeed stop, but that doesn’t mean that the child won’t do it again at the next opportunity. It’s analogous to uprooting a weed rather than merely snipping it off. We don’t think of drugs that way, but they operate as weed-snippers, not weed-uprooters. Because we are most familiar with antibiotics, which do try to uproot the bacterial weeds, we stereotype all drugs as weed-uprooters when they are not. Most prescription drugs (and many OTC drugs) simply mask symptoms. And because the symptoms are gone, we think we’re cured. 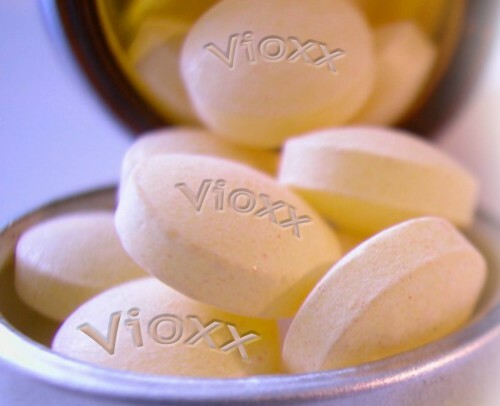 For example, cholesterol drugs artificially lower blood cholesterol levels. But the underlying cause of a person’s high cholesterol still hasn’t been addressed. So a person with high cholesterol is prescribed a drug, then gets their blood checked and sees that their cholesterol level went down. That person thinks s/he is doing well, when in fact that body’s time bomb is still ticking. To add insult to injury, many drugs also add side effects. In many causes, the side effects are significant. And the more drugs a person takes simultaneously, the more serious and unknown the side effects can be. God has designed the human body with an absolutely astounding capacity to heal itself. Double-blind studies involving placebos have shown that, on average, 32% of patients respond to a placebo. That is, the patients think they’re getting medicine when in fact they’re getting no medicine at all, but their bodies improve anyway. Drugs have the powerful capacity to alter the body’s systems in unknown ways. While the media jumped on the tidbit that Apple founder Steve Jobs died after wanting to be healed naturally instead of through conventional medicine, the fact is that many times, it’s better to heal the body naturally than with drugs. Let me be clear: I’m NOT saying that drugs should be avoided at all costs, nor that all medicines are useless. What I am saying is that Americans think prescription drugs are magic bullets when in fact they are not. My mom can attest to that. 4. Doctors do not practice preventative medicine and have a bias against alternative medicine. Most physicians have very little formal education in nutrition and its value as preventative medicine, which explains why they don’t understand the myth of saturated fat and cholesterol. Nor do many physicians understand alternative or natural medicine and therapies, including the importance of supplements for vitamin D, omega-3, riboflavin, niacin, magnesium, etc. Doctors are taught in school that alternative medicine is foolish. And if they aren’t taught the benefits of anything contrary to what they know, they will typically be skeptical of it. Conversely, naturopathic physicians are not taken seriously. Dr. Mayer Eisenstein, for example, has been ridiculed in the press for touting the benefits of vitamin D for issues ranging from swine flu to autism, even though research continues to trickle in on the vitamin D’s major benefits. The health care system today is in critical condition. The system is set up merely to manage disease, not to promote true health care. Be more aware when you visit your doctor and are prescribed drugs. Take it from my mom.